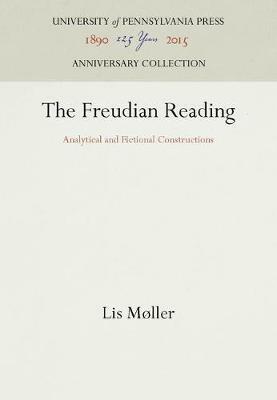 Selected by Choice magazine as an Outstanding Academic Title In The Freudian Reading, Lis Moller examines the premises, procedures, and objectives of psychoanalytic reading in order to question the kind of knowledge such readings produce. But above all, she questions the role of Freud as master explicator. Although Freud has been seen as a great synthesizer, Moller contends that his significance as a reader lies elsewhere. For Moller, this significance lies in the way Freud presses his inquiry to the point where he encounters something he cannot explain or that he can only explain at the risk of overthrowing previous conclusions. Such "moments of crisis" occur repeatedly in Freud's work, causing him to swerve from his original train of thought, or even to call into question the theoretical foundation of his interpretation. The dominant line of argument, therefore, is frequently punctuated with problems and questions. If we concentrate on these, Moller argues, we are forced to reconsider the traditional conception of a "Freudian reading" and to reassess our perceived notions of just what kind of reader Freud was. While The Freudian Reading is based on a wide range of Freud's writings, it concentrates on four central texts: Delusions and Dreams in Jensen's "Gradiva", From the History of an Infantile Neurosis, "The Uncanny," and "Constructions in Analysis." The discussion does not progress chronologically. Rather, it explores the ways in which these texts interact: how they reflect, comment on, and contradict one another. The Freudian Reading is a concentrated, subtle analysis of Freud's interpretive practice, with special reference to his interpretations of literary texts. It will be of interest to scholars and students of literary theory and criticism as well as to readers in the field of psychoanalysis.